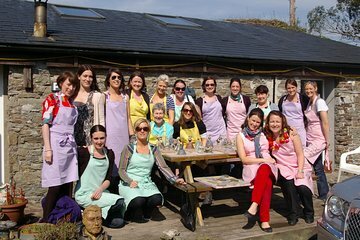 Take a chance and try your hand at traditional pottery-making at a studio deep in the Kinsale countryside. With the help of experienced local potters, make and paint your own unique pieces of pottery and sculpture. Have your pieces dried, fired and glazed in-house then pick them up a week later – one-of-a-kind gifts and souvenirs to take back home with you. With only one class a week and limited spots in each class, make sure to book well in advance.